For those in the back who haven’t caught up with my story…I came out as transgender back in August. And it has…been a ride. Some of the other things that have happened: I moved to New Mexico and changed careers shortly after coming out. That was A LOT of change at once — I’m not sure I recommend anyone do it all that way. Despite making it through coming out and things seeming to be ok generally, I’ve definitely encountered some struggles and also some highlights. 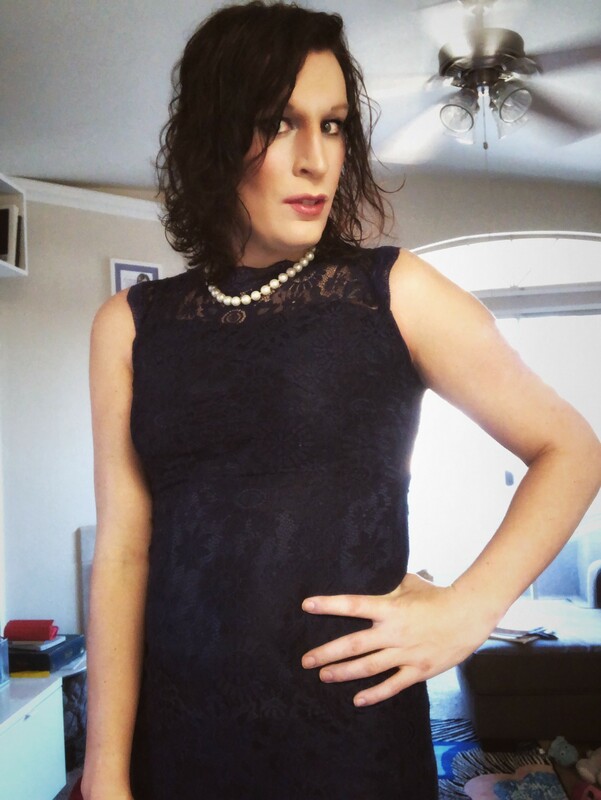 Given that I haven’t written on my trans journey much the last couple of months, consider this entire post a generalized update on progress! There has been SO MUCH I’ve realized that I don’t know. I had my make up routine down, I had a general style, but all the random interpersonal things that being socialized male vs. female that makes it all so difficult. Nothing has been horrible here but WOOOOOO — find a good female friend you can talk about this stuff with. Do we hug here? Is that how this goes? But no seriously, I am generally someone that says find ways to be you — but when you have awesome friends who see you for who you are, remember there are some social cues you really are going to have to play catch up on. This was something I think I expected on some level, but living full time vs. dipping your toes across the gender pond results in your style preferences changing over time. I say that to say its ok when you realize that cute shirt you bought that is super feminine gets donated. Like, totally ok…yeah I’m still trying to convince myself to part ways with some cute clothes. This period after coming out and living full time is still a time full of experimentation. One day, we’re going to live in a world where being trans is not novel or terribly unusual. But that’s still not fully the case and everyone needs to tailor their responses in your own way. We are still in an age when you might still be someone’s first ever known trans experience. For those I care about I’ve given grace and time. It’s easy to spot a good faith effort vs. a bad faith one. I’ve personally also decided that in public spaces, that if I somehow notice something out of place (aka someone staring) I tend to just find ways to ignore them. Personally, this seems to work best. But just know, being out is full of bad days as well as good days. I’m now sitting uncomfortably in the 10–18 month period when the initial changes and excitement are gone, but I’m not where I want to be yet. Transition is a marathon and not a sprint. Say it again Raychel. And again. And again. This seems to be the spot when so many have a pretty difficult period. From conversations and reading other’s experiences, this is normal. The best way I’m finding to cope is reminding myself that I’m as valid now as I was a year ago and as I will be a year from now. Another interesting observation I’ve had is that I find myself feeling guilty sometimes for enjoying the things I’ve always enjoyed because my weird concept of what being a woman is — well it’s just limiting and backwards. I’ve had to do some detoxing. There are a lot of stories like this, where trans people try to go so far across the spectrum that they find it too feels uncomfortable and fake. This doesn’t mean you are not trans — but it does mean that on the gender spectrum the choice is not completely one way or the other. Cis-men and Cis-women fit within this spectrum too of being who they are. So to sum this up: be yourself, however that looks. I’m going to keep reminding myself of that simple truth over and over and over again. Stay positive friends, the best is yet to come. Almost 1 year on HRT and 6 months out!